The entire highlight and contour trend has come and gone, or maybe not gone completely, but I definitely got into this game late. Perhaps it was due to the fact I found it a little too OTT at first. After experimenting and understanding, I grasped a few good techniques of creating a natural, yet appealing, look with the use of these much-needed products. Summers are officially here in Karachi . . . haha ha ha, that was a joke because Karachi is the definition of summers most of the time, kind of like Florida. We just get some pleasant autumn for a month, or so, and back to heat waves and humidity, yaas. Let's not get carried away, focus on how bronzers and highlighters become your best friends to enhance the hot glow you want to compete with the even hotter weather. Bring it on heat, this is how we fight it like a boss lady! I am not a young tween anymore. I am in my mid-30s, it took me some time, and courage, to get used to this whole highlighting and contour movement. I still prefer light layering rather than slathering my face with layers of cream cosmetics like pastry, but whatever tickles your fancy, just not my cup of tea. I prefer powders over creams in regards to most face products, except foundations. 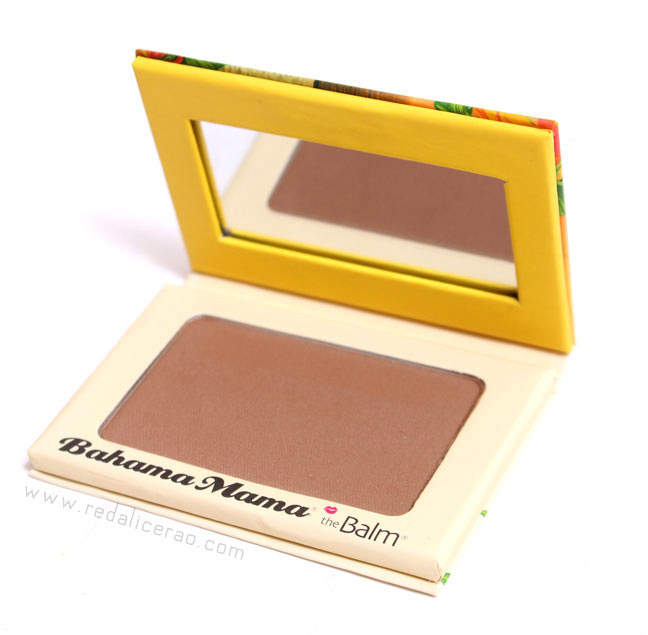 Power couple, as I call them, The Balm's Mary-Lou Manizer (Highlighter) and Bahama Mama are all you will ever need for that everyday natural, subtle contouring and highlighting. I am perfectly fine if I don't look chiseled in an extreme manner like Kimmy K, I opt for the natural route anyday. This is actually more than just a bronzer. It works as a great contour powder as well as a brow definer and you can double it as an eyeshadow too. 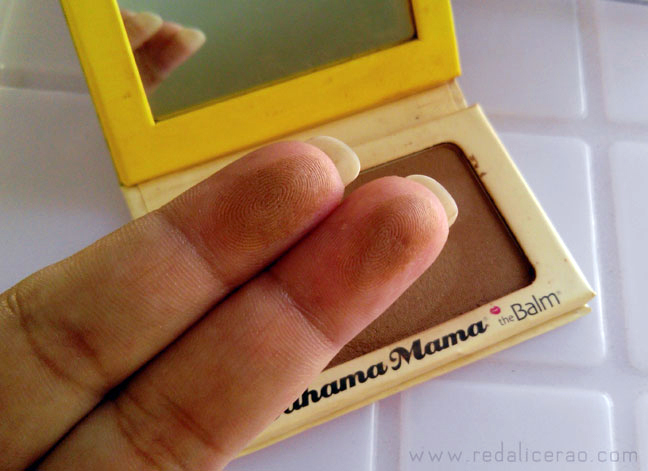 Bahama Mama is pigmented and blends so well that you can't even tell if you used it. I prefer the contour being a shadow rather than an obvious streak and this product achieves that for me. Packaging is very basic in material, cardboard box with magnetic connect and a mirror inside but no brush. The illustration, as every The Balm product design follows, inspired by old-fashioned. pin-up posters. Not very durable, the packaging has a potential to be improved, but still cute. The shade is a cool brown, with grey undertones, which I prefer more than the ones that are too orange and make you look like you actually made an effort to go all tropical. I prefer effortless looks rather than made up. The matte finish makes it even more flexible to use it as more than just one thing. I have literally used this as a transition eyeshadow and it is magic for nose contouring. Blends like a dream and stays put rather than getting dry or patchy. 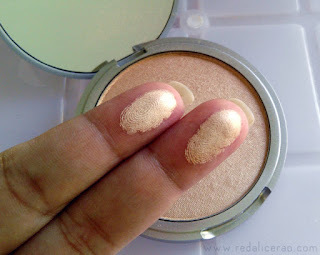 The powder is lightweight and you don't need a lot even though it is also easily buildable. It is a great contour powder for light to medium skin tones. I was lucky I got this on discount but the actual cost is $20 on The Balm website and you can also buy online in Pakistan for PKR.2,613 from Daraz.pk which is not that big a difference. The Mary-Lou Manizer is one of those rare products that I actually bought because people would just not stop raving about it. I had mixed feelings about this product. I initially hated it, regretted buying it and even came to a point when I was about to give it away. Luckily, once upon a youtube makeup tutorials binge watching, I discovered that I don't NEED to highlight like all top youtube gurus do. I have a round face and my skin is not smooth so when I applied highlighter on my cheekbones it enhanced my imperfections which was a complete turn off for me. I discovered that I can also apply it under my eyes at the edge of my cheekbones to lift them up and not go all the way down, that was a light bulb moment and there was no turning back from there. The packaging is a tease as usual but what really grabs my attention is the size of the product with a generous 8.5gm of highlighter. I bought this late last year and still plenty left to use. The finish is soft, silky and shimmery, not loud. Just right for that sunny glow. I do find the shade favorable; champagne, peachy tone that gives a soft dewy effect on my medium to fair skin. 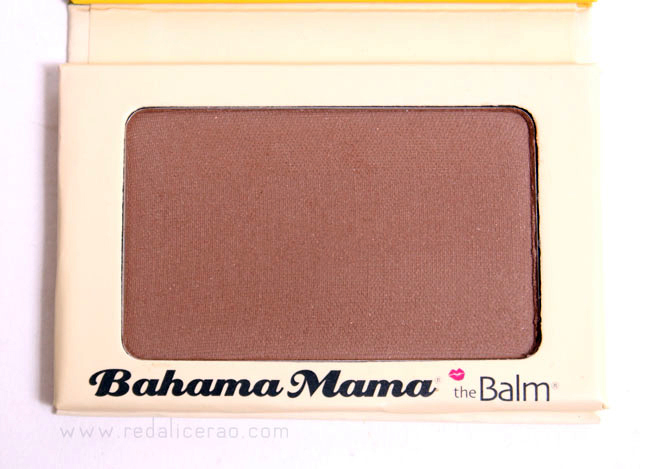 Even though Mary-lou is pigmented and very fine in texture, I didn't find is as easy to blend as Bahama Mama. It does require some work. Definitely long wear and doesn't require touch-ups for a good 6 hours. I also love using it on the corner of my eyes. 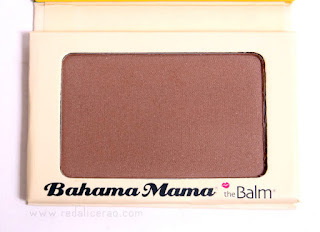 I enjoyed your review on these TheBalm highlighters and I tried both via Birchbox and prefer Bahama Mama the best for highlighter/blush/bronzer/eye color! I'm eyeing on Bahama Mama bronzer since long! It's such a multi purpose product! They both look really good, their pigmentation is amazing. I love Benefit cosmetics. 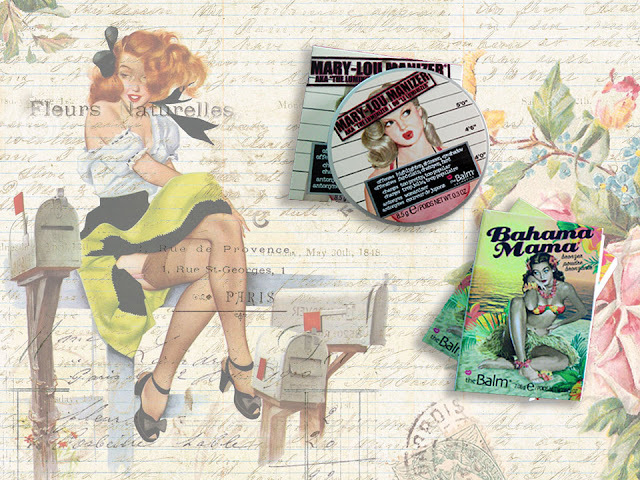 Bahama Mama has been on my wish list for the longest time. 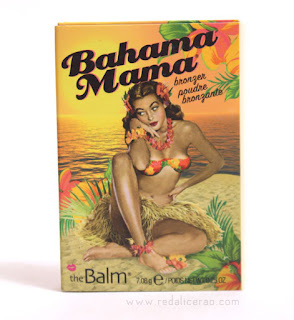 Would Bahama Mama work for pale skin? I bought Mary Lou but It's too golden for me. What do you recommend? I absolutely love Marylou need to check the Bahama 2613 ain't a bad price. Lou manizer is very powerful highlighter. But shame that it doesn't look on me :( or may be I gave up on this product so soon.